Michael O'Connor has been jailed for dealing drugs. A man who sold heroin and crack cocaine from a flat which was being used for drug dealing has been jailed. Michael O’Connor, 23, from Lancaster, was arrested on December 17, 2016 after police raided 30, Arcon House, Heaton Road, Lancaster, which was made subject to a closure order on October 30 this year after reports of anti-social behaviour, drug dealing, loud parties and criminal behaviour. Police found 279 deals of heroin and crack cocaine. Michael O’Connor was charged with possession with intent to supply class A drugs and on November 24, he pleaded guilty and was sentenced to 32 months in prison. Flat 30, Arcon House, Heaton Road, Lancaster, was the cause of major upset with residents who had had to endure loud parties, drug activity, and noise for nearly two years. 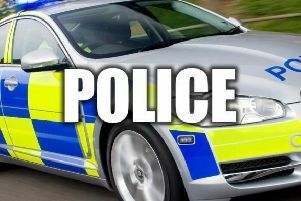 The tenant was even forced to sleep on the sofa in his own flat after visitors took over his bedroom, some taking and dealing drugs in his flat. Lancaster City Council brought about a prosecution, in conjunction with police and their own anti-social behaviour officer.During the hearing for the closure order, the court heard that Lancaster City Council had been contacted by residents, some in tears down the phone and in person, in fear for their lives and terrified. PCSO David Owen said at the hearing: “Peter is a very vulnerable person with regards to the people with him in his flat. His associates have taken over the front bedroom. “He finds it difficult to refuse and say no because of the intimidation. The closure order which runs until January 13, 2018, makes it a criminal offence for anyone other than Peter Kelly or members of the emergency, social or mental health services to enter the flat.